The stunning resort of Isola 2000 is located in the southernmost part of the Alps, known as the Maritime Alps; a region which boasts an unbeatable combination of snow and Mediterranean sun. Isola 2000 is part of the Parc du Mercantour, which offers fantastic activities for all the family, from exploring the many mountain biking and hiking trails to simply taking in the stunning panoramic views or indulging in traditional food and good drink after spending a day exploring the mountain. At an altitude of nearly 2000m, Isola 2000 is able to offer more than 120km of ski slopes and 180 snow cannons in the winter, with many of them becoming places to explore in the summer. Madame Vacances is pleased to be able to offer two beautiful chalets for you to enjoy in the vibrant area of Isola 2000. 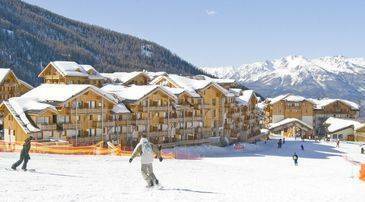 Just 100m from the mountains and lifts sits Les Chalets de la Diva, in a convenient location within walking distance of the local amenities. Decorated in the traditional stone and wood of the area each chalet is south facing with either a balcony or a terrace, offering its guests spectacular views of the Mercantour regional park. Slightly further out, around 200m from the centre of the resort, are our Chalets d'Isola. These stunning chalets are still located within easy reach of the bars and boutiques in the resort and are all fitted out with everything you need to enjoy a comfortable and stress free stay. 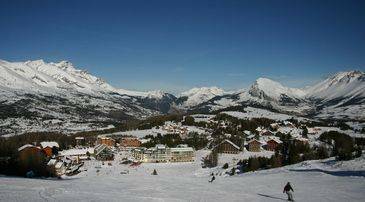 Isola 2000 is the perfect destination for those wanting to explore the stunning French Alps when all the snow and ice have melted, revealing beautiful alpine surroundings and truly spectacular panoramic views. Whether it's hiking, ambling through the shaded forests with the family or mountain biking there are some idyllic trails on offer. To see the mountain from a completely different angle there is also paragliding on offer where guests can take in the sights from daring heights. If you prefer to keep active during your holiday in Isola 2000, there are some fantastic ways to explore the mountain. Just a handful of these include horse riding, climbing, mountain biking, golf and mini golf, as well as fishing, tennis and trampolining, with many activities available for both adults and children. While staying in this region make sure to take advantage of the breath taking Mercantour National Park just on your doorstep. At over 2000km2 this vast park covers over 28 different cities across the Alps and boasts summits of up to 3000 metres, including the highest road in Europe. There is much to enjoy here including lovely mountain lakes and nearly 2000 species of plants and flowers unique to the region. There are also of plenty indoor activities to enjoy in Isola 2000 as well. One of the most popular is the Aquavallee, which is a multi-sports centre for the family. With swimming pools, a squash court and fitness centre there is enough to keep the whole family active. For a more relaxing way to spend the day they also offers guests hammam steam rooms and Jacuzzis. For a chance to treat the little ones why not take them to Les Pitchouns. An indoor play area for children between 15 months and four years old, it's also handily located within the shopping gallery in the village, giving you the chance to treat yourself and your kids. Other family-friendly activities the resort offers include bowling and the cinema. Or if you prefer to enjoy the privacy of your own chalet each comes fully equipped with a television and DVD player as well as a beautiful open fire place or wood burning stove. Like most of the mountain resorts situated in the Maritime Alps, there are many great places for eating, drinking and taking advantage of all the delicious local produce on offer in the region. One firm favourite in Isola 2000 is situated just off the mountain: L'Avalanche. Serving very fresh and seasonal food in keeping with the traditional cuisine of the region, here guests will find delicious, rich flavours in the locally sourced cheeses in their fondue and raclette. This restaurant is also a great spot to enjoy a lunchtime meal as their terrace is a great sun trap to soak up the Mediterranean heat. A main course will cost around Eu15 and they also have an excellent wine selection. For a more intimate evening of fine dining the small but cosy Les Gavouats is a popular choice. This spot is slightly more expensive than some of the other eating establishments in Isola 2000 but most visitors will argue that the food is more than worth it. They are particularly known for their pizza; just make sure to try and book a place near the roaring open fire for a truly wonderful dining experience. Le Spot is a great place for eating if you're looking for a slightly more laid back dining experience. Located in the heart of the resort Le Spot has a great reputation for well-priced food and alcohol. Their cheese and bacon burger with chips has become a favourite in the resort! There are a whole host of options for evening drinking in Isola 2000; with many great places found on the mountains themselves. On the upper part of the blue Sierra slope Le Refuge offers its patrons a sophisticated atmosphere in which to enjoy a full cocktail menu. With a live DJ playing each day from 3pm make sure you don't wait too long to arrive, as their happy hour is between 3-4pm with half price on all drinks. One of the best spots to unwind after a day spent exploring the mountain is Hi Bar. Usually a bit calmer than the other bars in the area, this friendly set up has a huge balcony from which to take in the spectacular views of the west side of Isola 2000. If calm is not what you're looking for head to La Marmotte, which offers the latest nights out in the region. From 11pm this place transforms itself into a disco, keeping visitors on the dance floor until the early hours of the morning. Luckily, La Marmotte is located just at the edge of the village, offering an easy journey back to your accommodation. Most of the lifts which operate for skiers in the winter season are also open to summer guests of Isola 2000. There is parking available at both Madame Vacances chalets, with lots of free parking spaces to be found throughout the resort in the summer. Spaces are marked with a large P on both the tourist maps and the streets and is easy to find. Undercover parking is also available at weekly or daily rates.